Assorted images from my recent visit to the Texas Military Forces Museum at Camp Mabry, in Austin. 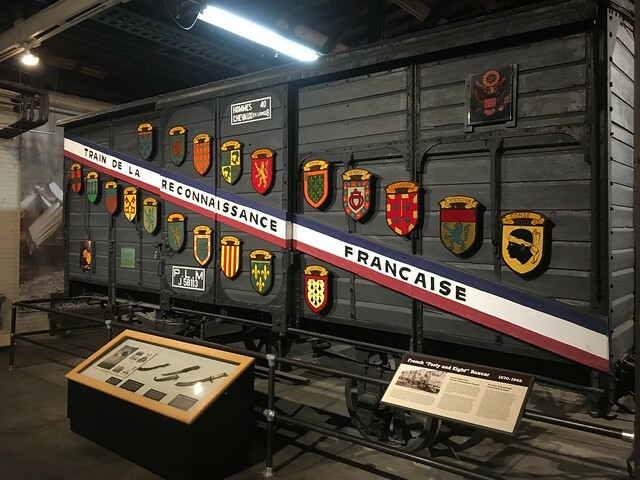 Above, a “Forty and Eight” box car from World War I. Never expected to see one of those in Texas. Full gallery here. Could swear my Great Uncle Joe said he was at Camp Mabry right after he signed up right before WWII. Probably so. It goes back to 1892. I have a recording of My great Uncle before he passed. Uncle Joe said he joined the army early because he knew that we would eventually be involved in WWII. He was at Camp Mabry in Texas Army National Guard 36th division company F. He was like a message courier and drove a motorcycle with a sidecar or “motor-sickle” as Uncle Ed would say. 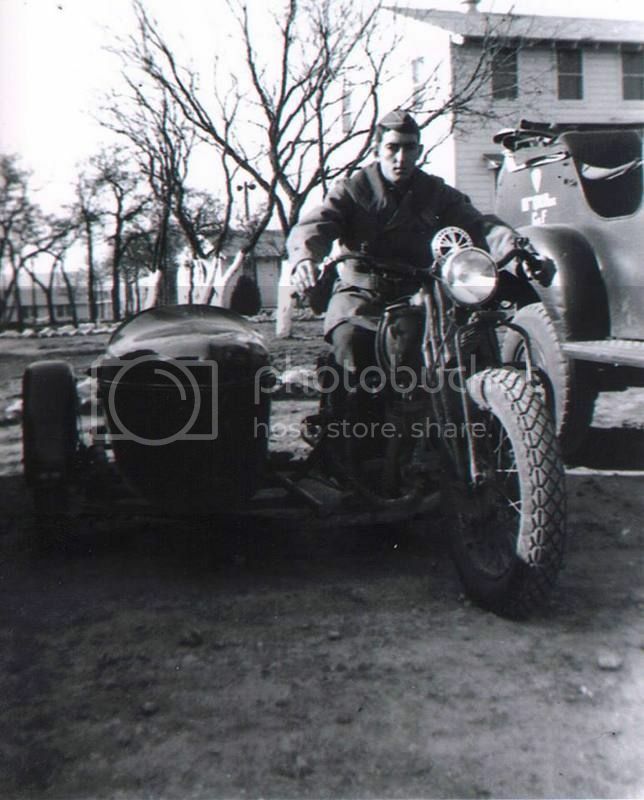 He drove the motorcycle to Camp Bowie in the cold rain December 14th 1940. Bill Mauldin, the famous cartoonist, got into the Army in a similar way by joining the Arizona National Guard in 1940. The Guard was soon thereafter rolled into the regular Army, so he had a certain status beyond the soldiers who enlisted after Pearl Harbor. Lots of folks assume he was a sort of war correspondent (i.e., civlian attached to a military unit), but he was an honest-to-goodness soldier who was detached to draw cartoons for Stars and Stripes. My dad joined the Marine Corps before the War, as he would say the Judge gave him a choice between that and being a guest of Albany County for 2 months. As a side note he was also a member of the Forty and Eight of the American Legion and I often wondered where the name originated. Andy, you have answered that question. Thanks. The Marines saw some very hard action during the First World War. Man,that Forty and Eight looks a lot smaller close up than they do in historic photos. I wish I could have seen this exhibit.